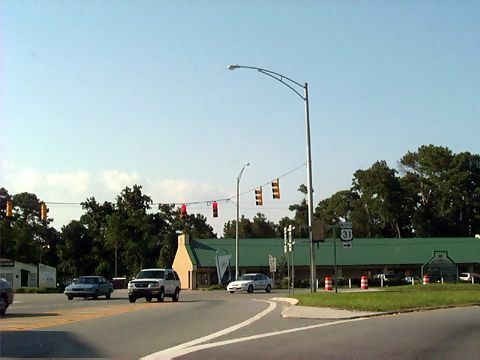 Southern terminus of US 31 at US 90 in Spanish Fort, AL. Photo by Alex Nitzman. The END of US 31 at Jct US 98, Spanish Fort, AL; also sign showing "Bridge Out" on US 90. The overpasses of US 90 over US 98 were being replaced at the time of this photograph. Photo by Ed Wilson, taken February 2002. 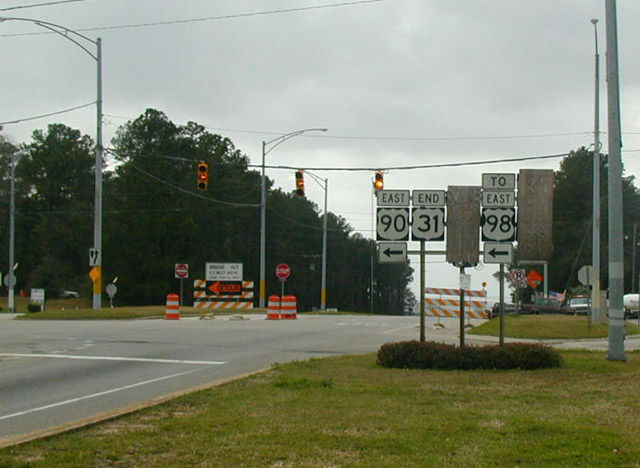 A right turn from westbound US 90 brings you onto US 31 in this south approach to the terminus. Photo by Alex Nitzman, taken August 22, 2001. 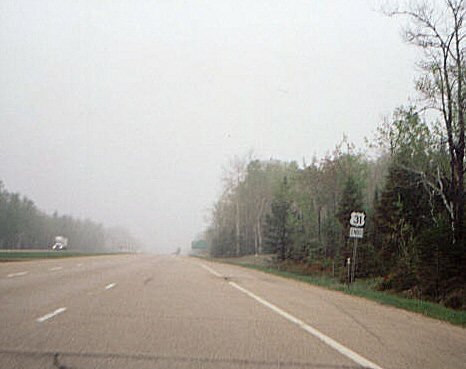 On its northern end, US 31 merges in with I-75, just south of Mackinaw City, MI. 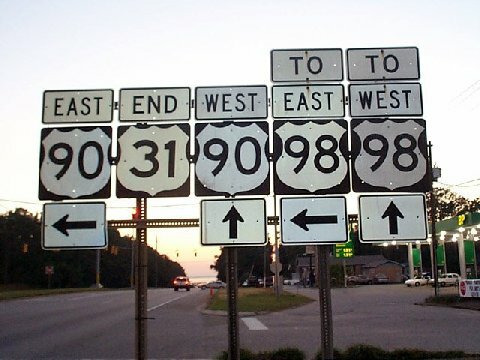 This picture shows the end of the merge, plus a US 31 ENDS sign. Photo by Jody Aho.